Celebrate your favorite football team with these great sports snaps. Choose your favorite! 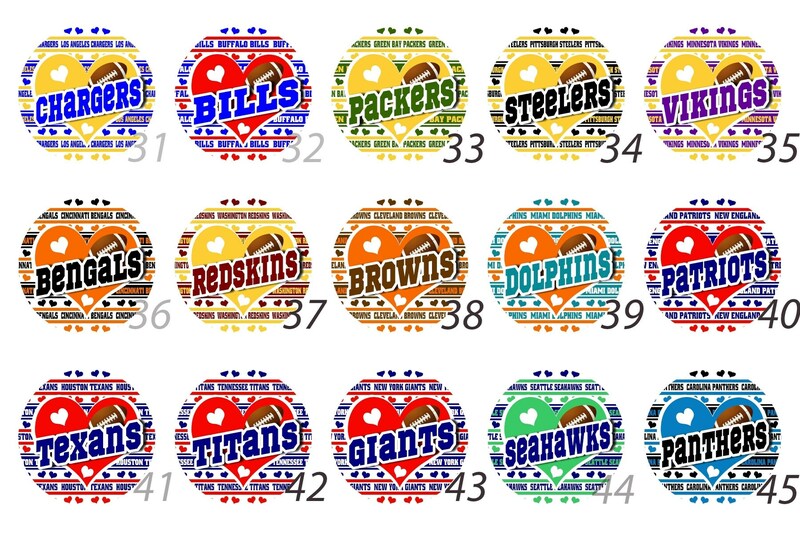 Buy 2 of each team and create a great pair of earrings! 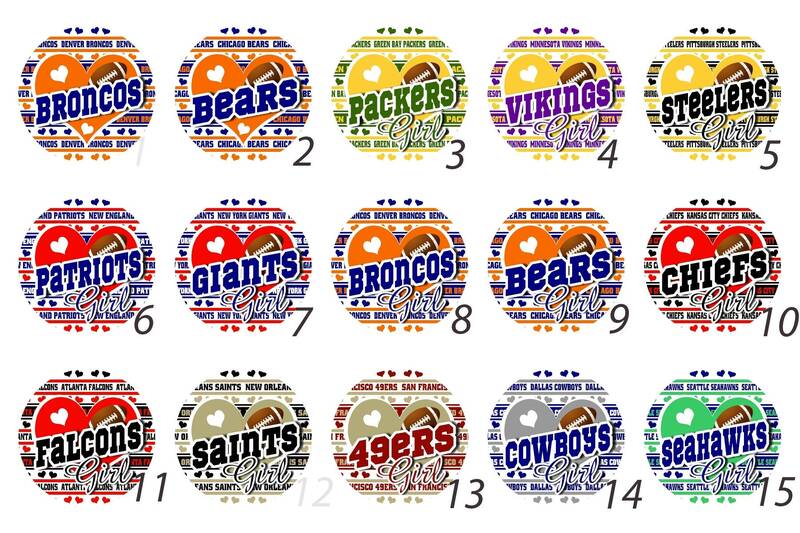 These are great for watching your favorit team, giving as gifts and more! Show your football team pride! 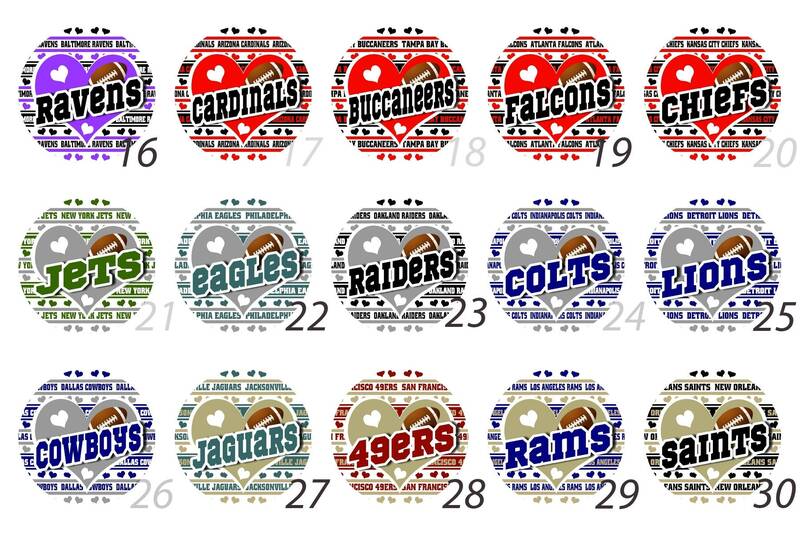 Select from our 45 team snap options! See a team not pictured? Send us a convo and we will make something custom just for you!